Clients were asked specific questions relating to the level of professionalism, care and support they received from their allocated Care Workers. Over half the surveys were returned completed and critically, 98% of their clients stated they were happy with their Care Workers. Clients were also questioned regarding continuity of the same care worker, punctuality of their Care Worker and the duration of the visit. Caremark (Plymouth) monitor the quality of their service regularly and this survey is one method of obtaining essential feedback from both clients and staff alike. Any problems can then be quickly identified and resolved without disruption to the service or distress to the client. "They are always methodical and caring" said one client, while another commented: "I am very pleased with the service I receive and I know I can change/cancel my care at the last minute. My carer is very good, very professional and has got to know me well. A good care company." Equally positive comments were received from staff: "Although I have only worked for Caremark for a short period of time, the staff and co-workers I have worked alongside are friendly and caring and have a high quality of care". Another stated: "My Field Care Supervisor is approachable and friendly, my Care Manager also and the training I receive is helpful. Lovely company to work for." 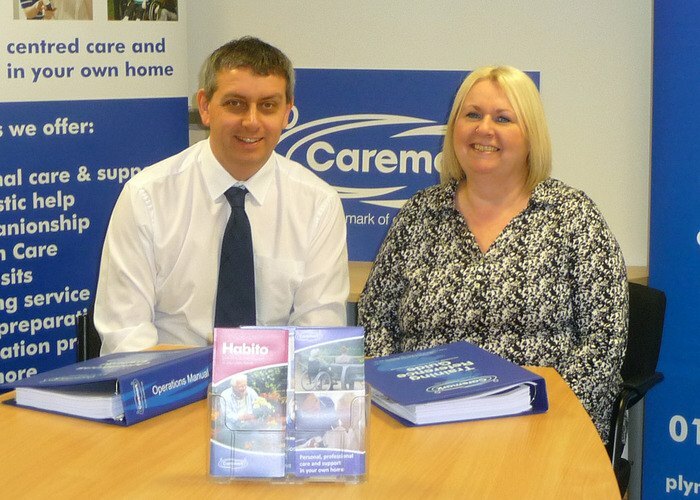 Graham Livingston, Director of Caremark (Plymouth) was delighted with the overall results of their first annual survey. He said: "Permanent allocation of care worker to client ensures both continuity of service and also ensures the Caremark standard of excellence is maintained. This is also vital for building a professional, supportive relationship between client and Care Worker." The company has only been in business for two years but is already making a name for itself in the community as a provider of reliable, compassionate home care.